The most exciting scientific discovery happens on the magnificent body of water right outside our door. 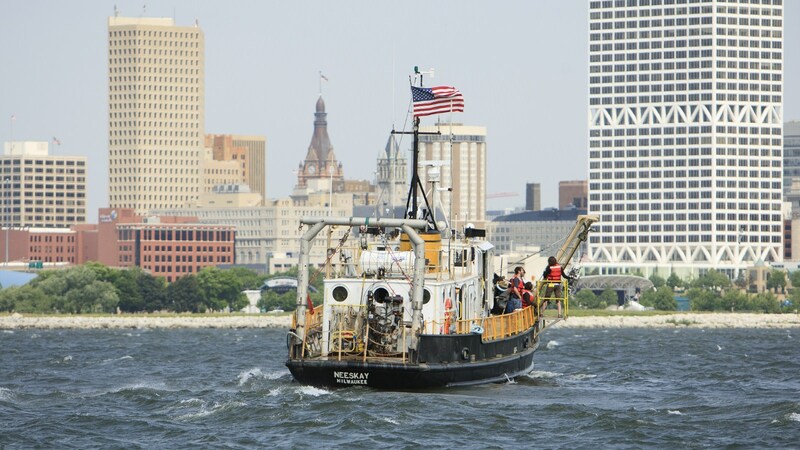 Students, faculty, and scientists rely on the school’s research vessel, Neeskay, as well as small watercraft, remotely operated vehicles, and a buoy-based observing system to study the life and health of Lake Michigan. The nation’s most technologically advanced freshwater research vessel. The Great Lakes are our living laboratory, and we operate the only research vessel that explores these inland seas year-round. Its name derives from the language of the Ho-Chunk, a Wisconsin Native American tribe, and it means “pure, clean water” — our vision for the Great Lakes. The Neeskay’s research capabilities include a full range of wet and dry lab facilities for chemical, physical, biological, and geological sampling and analysis, including: Seabird CTD profiler, rosette sampler, hydrographic casts, current meter deployment, surface water temperature chart recorder, vertical and horizontal net tows, trawling, dredging, box coring and sediment sampling. 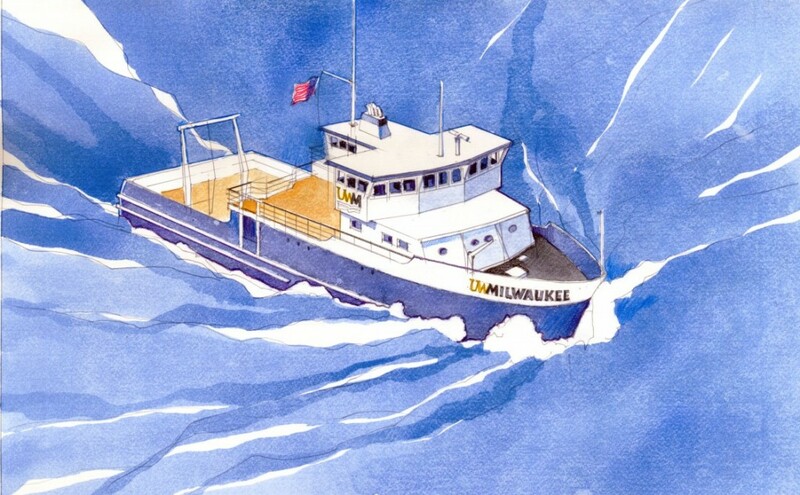 The Neeskay is also equipped for support of SCUBA-assisted research and small ROV operations. Before the Neeskay was reconstructed as a research vessel, it was an Army T-boat used for tug and transport duties in the Korean War. It has powered scientific expeditions around the lakes since 1970 and is the only research vessel that navigates the Great Lakes year-round. 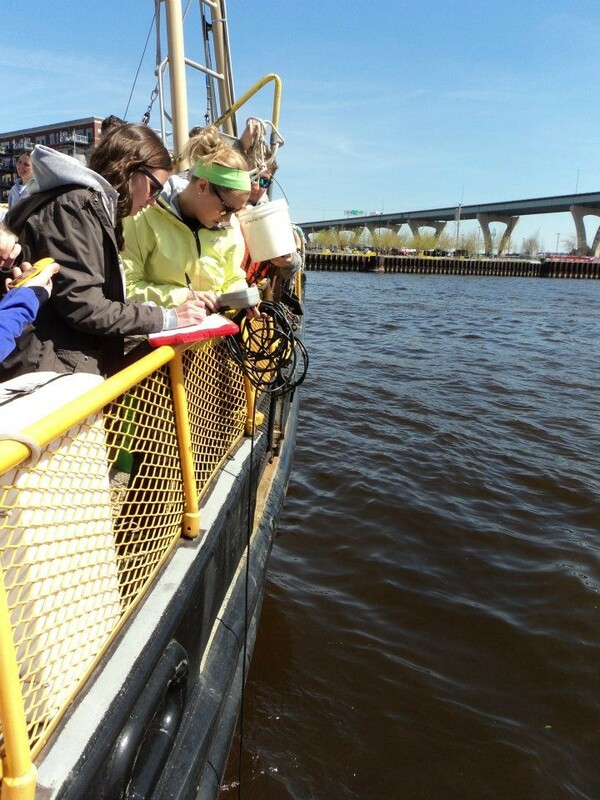 The Neeskay allows UWM students, faculty and scientists to focus on answering fundamental questions essential to the successful management of this crucial resource. To request ship time aboard the R/V Neeskay, visit the official Request Vessel Use page. A fleet of small boats use our research, which range from the 26-food Osprey (for short trips on Lake Michigan) to small, inflatable vessels (for use in field work on inland lakes and rivers). Our underwater remotely operated vehicle (ROV) can descend to a depth of 1,000 feet and is equipped with a camera, a suction device for collecting samples, and sensors for collecting sensitive data like temperature, oxygen, pH, and conductivity. The ROV can also shock fish for surveys and collect cores of soft sediment. We rely on a network of real time sensors to serve as our eyes and ears on Lake Michigan. As partners in the Great Lakes Observing System (GLOS)., we have access to a variety of instrumented buoys, surface vessel observing systems, and autonomous vehicles that collect important physical, chemical, and biological data that tell us about the life and health of the lake. To obtain long term data and track trends in climate and ecological impacts, GLOS sensor arrays are deployed on solar-powered buoys at fixed locations throughout the Great Lakes — including Milwaukee-area coastal waters and Green Bay.